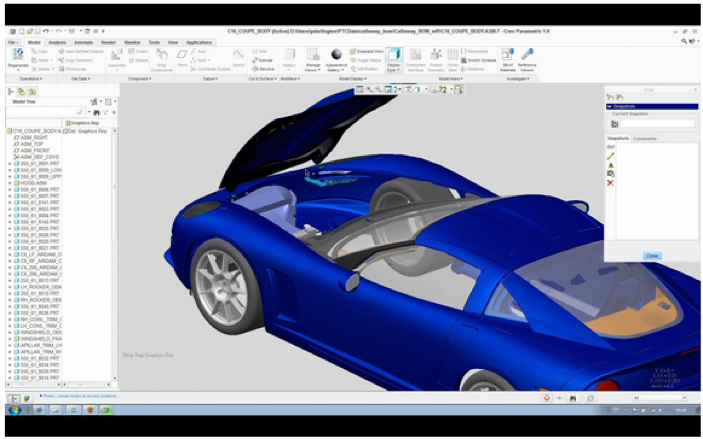 Creo 3D solutions are the result of PTC's industry pioneering solutions for 3D design. It was developed from the elements of ProE CAD and CoCreate, both industry and world leaders in their own rights. For customers wanting to make the switch to Creo 3D, they can choose the precise tools to fit their design process. User can leverage Creo Parametric independently or in conjunction with other Creo Apps. For example, consider the design potential of utilising both direct and parametric 3D modelling tools, which are highly optimised for their given task. Creo 3D maximises the power and flexibility for customers, all in one platform.